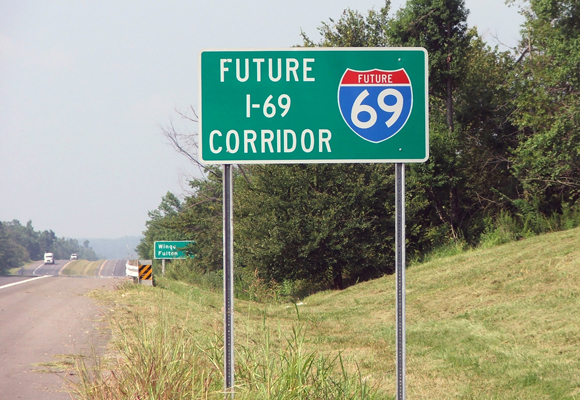 Palmer Engineering was selected by KYTC to complete a Strategic Corridor Planning Study for a segment of the future I-69 corridor. This study evaluated the Purchase Parkway from the Tennessee State Line to I-24 and I-24 from the Julian M. Carroll Purchase Parkway to the interchange with the Wendell H. Ford Western Kentucky Parkway. The study evaluated the existing conditions for these routes to identify needed improvements to bring the corridor up to current interstate standards to become part of the I-69 Corridor through KY.
After an inventory of the existing conditions was developed, deficiencies and site-specific problem areas were identified. A range of practical solutions and cost estimates were developed for identified potential improvement needs, strategies, and options. A master plan for prioritizing improvements was also developed. Palmer Engineering conducted public involvement activities, developed recommended solutions, and prepared technical reports documenting the study process and results.